Cute babies capuchin monkeys for free adoption .I have Two capuchin monkeys for free adoption and ready for good homes. These babies are on the bottle and wearing diapers. Babies come with all paper work including health certificate. Babies­­ are Raised in our home with dogs , cats kits. We have been working with monkeys for over 10 weeks All babies come with starter kits including bottles, diapers, formula, baby blankets & toys. Mental model and exceptional sports model, very well ridden, fate Outdoors, convenient and close to man in general and children in particular. Leaves no one indifferent, will turn heads a dressage arena. A day care musculoskeletal, dental, vucé, vaccinated, wormed. Visit veto OK. Along very well with others horses, mounted in a carefree van or truck. I have for sale 1 Female Central Bearded dragon ' approx 46cms ' very friendly girl , loves attention ' comes with a 6ft pine encloser with all heating lights, heat mats , ect'. I have one beautiful baby girl rabbit for sale. She is ready to be sold now. She is nearly six weeks old and has 3 other sisters, but they have already been sold. This little baby has a great personality and is very gentle and quiet. I am selling her for $35 as she is pure bred and in very good condition. I and my husband i have gotten a new job and with less time to take care for these cute puppies of ours we now give to any lover or fan of pets and puppies We give them out with all their vet document including the health certicate.interested person should contact for more info. A 1.5 yrs old adorable japanese spitz. He is active and very very adorable. Had to put him up for adoption due to transferring to another place. He is fully vaccinated and microchipped. Please contact me for more information.. 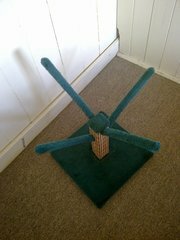 Various pet items for sale. Must go as no longer needed. see below for description to photos : * Cat Scratch Tree - Can have items for cat to chase tied to the ends of the branches if you wish to do so. Near Brand New Condition. $10. * Comfy Small-Sized Pet Bed - Can suit dog or cat. Excellent Condition. Stitch is a 11wk old indian ringneck, he went missing on the 09-10-10 in Boronia Heights 4124 Qld, we are offering a $$$$REWARD$$$$$ for our boys return, he has a clipped wing and can't fly too good at the moment he isnt afraid of cats and we are very worried about he's safety and wareabouts, he is a very loved family member and we are devistated that he is missing, we have posted signs everywhere so please keep an eye out for our little boy, and contact us if you have any iformation on his wareabouts. CALM RIDDING QUARTER-HORSE AVAILABLE FOR YOUR KIDS. WE GOT WELL TRAINED BEGINNER HORSES FOR SALE.THEY ARE VET CHECKED VACCINATED AND ARE USED FOR RACING. THEY DO POSSES SOME OF THE FOLLOWING QUALITIES: -THEY ARE CALM -THEY CAN BE RIDDEN ON THE ROAD -THEY CAN BE WHISTLED AT -THEY CAN HUMP AND JUMP LONG DISTANCES -THEY CAN BE USED BY BEGINNERS AND EXPATS RIDERS -THEY CAN BE USED FOR RACES AND THEY HAVE BEEN CHAMPIONS -THEY DO NOT CAUSE TROUBLE WHEN RIDDEN THESE ARE SOME OF THE QUALITIES OUR HORSES POSSES AND IF INTERESTED CONTACT US FOR MORE INFORMATION AND PICTURES. Am selling my baby/adulth chimpazee, Very clean, perfect health conditions, desease free, in good teperament with kids ans household toys.Comes along with sample foods and crate, with all the paperwork including her health certificate, veterinary records and pet passport..
My husband and I are giving out out Cute baby Capuchin Monkey For Adoption to any pet loving and caring family no matter where ever they might be. Our Babies Monkeys is a house raised babies Capuchin monkeys who is diaper trained, leash trained , wears clothes and likes to lay around, watch TV and take snaps with you. FUZZY FACE CRITTERS!!! We are a Geelong based hobby mousery, specializing in hairless, tailess, rex, long haired and standard mice! We are also trying to breed tiger brindles, tri and siamese colours. 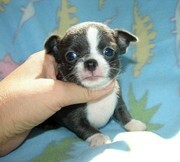 We currently have THREE Litters available. You can see the mothers and most recent litters on our website. THEY ARE TENDER AND ARE COMING WITH ALL DOCUMENTS INCLUDING A GUIDE FOR FEEDING, HEALTH CARE AND TRAINING FOR IDENTIFICATION OF ITS MASTER.THERE ARE 4 FEMALES AND THREE MALES READY NOW FOR SALE WHILE OTHERS ARE STILL SO TENDER TO BE SOLD.CONTACT US FOR MORE INFORMATION IF REALLY INTERESTED.. I HAVE A VERY LARGE PAIR OF EASTERN BLUE TONGUE SKINS, THE MALE IS 5 YEARS OLD AND THE FEMALE IS 7..SHE HAS HAD SEVERAL LIVE BATCHES. THEY ARE IN VERY GOOD CONDITION AND VERY EASY TO HANDLE. THERE ENCLOSURE IS ALSO FOR SALE IF NEEDED. $300 FOR THE PAIR AND $100 FOR THE ENCLOSURE. MAY BE NEGOTIABLE TO THE RIGHT HOME. we are looking for good and loving families in need of a horse. contact us for more information. 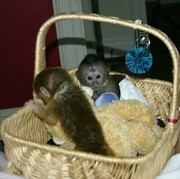 Baby capuchin monkeys, male and female available. our babies are in good health and current on all shots. they are hand fed, home raised by me and my children, We handle them from the day they are born, making sure they will be ready to openly receive their new families. Babies go with all health papers including health certificate. They are raised in our home and hand fed by me and my children. We spoil and give them the most excellent attention. They are all ready to leave at 12 weeks old and they are very healthy, diaper trained and tamed and very good eaters. They have been vet checked and will come with a medical record . Pets come with pets` accessories like Blankets, diapers, dresses, toys, starter kits and some monkey baby food stuffs. healthy Capuchin Monkeys For Adoption lovely capuchin monkeys for adoption, monkeys are house and potty trained and love playing with indoor and other household pets. monkeys has all their health papers and veterinary records intact. if interested, then contact for more information at [bertrandgabary@hotmail. intelligent Male and Female Capuchin monkeys for Adoption both monkeys are all vet check home trained , well behave well socialized with kids and other house hold pets the babies will bring much joy and fun to your family and i am giving this intelligent babies to any one who is willing to threat and take very good care of them and they will also becoming along side all their health papers includin contact us at ( lunnies@live. All babies are on the bottle and wearing diapers.Babies come with all paper work including health certificate.Babies are Raised in our home with dogs, cats kits. 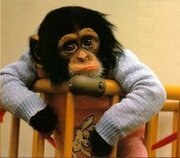 We have been working with monkeys for over 12 years. All babies come with starter kits including bottles, diapers, formula, baby blankets & toys. 'No Poo for You' - First in the Illawarra - collecting and disposing of your dog's droppings from your yard. "No Poo for You" is the Illawarra's first registered dog waste elimination service. 'No Poo for You' comes to your home to collect and dispose of your dog's droppings - saves you ever having to pick up another one again. cute and nice looking male and female piebald ball python for adoption if any one is interested contact us for more information on the ball pythons. Tamed capuchin monkeys for free * I have Two capuchin monkeys for free * and ready for good homes. These babies are on the bottle and wearing diapers. Babies come with all paper work including health certificate. Babies­­ are Raised in our home with dogs , cats kits. We have been working with monkeys for over 10 weeks All babies come with starter kits including bottles, diapers, formula, baby blankets & toys. 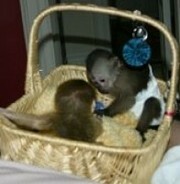 Gorgeous Baby Capuchin Monkeys presently available for permanent loving and caring home(s). These babies are very well socialized, they are home trained, healthy and very easy to learn. they come along with a microchip, registration papers, 6 months health guarantee, proper diet plan, care taking booklet and health certificate. adorable gelding Frisians for adoption. these horse are well trained for riding and driving. they have a good dressage and perfect knee action with good movement. they go along with other pets and children..
Adorable baby capuchin monkeys ready for good homes.All children are in the bottle and put diapers.Babies come with all paper, including health certificate.Babies are raised in our home with dogs, cats kits.Do not hesitate to contact us now if you feel you can give a good home to one of our babies.(ddutras@gmail. They are raised in our home and hand fed by me and my children. We spoil and give them the most excellent attention. They are all ready to leave and they are very healthy, diaper trained and tamed and very good eaters.They have been vet checked and will come with a medical record .Pets come with pets' accessories like Blankets, diapers , dresses, toys, starter kits and some monkey baby food stuffs. We have a lovely and adorable capuchin monkey , we are looking for a loving and forever homef ro her , she is well trained and socialized and loves playing around kids and other household pets . she is diaper trained , bottle vet and is also up to date on all her shots . contact us for more information and pictures . our quater horses are 11 years full meek good head good tempos and good for experienced beginners and children they are now ready for sale so if any home is interested then do get back to us for more details(jgjessicagomez1@gmail.com). Other pets, pets for sale Australia ads Australia, Other pets, pets for sale classifieds Australia, Other pets, pets for sale free ads Australia, ads for sale Australia, ads to buy Australia, FREEADSAustralia Page number 6-1. Find here ads for sale, to buy and rent in Australia. Goods for sale in Australia, vehicles for sale in Australia, Australia real estate for sale, Australia property for sale, property for rent in Australia, business ads in Australia, Australia business classifieds, services in Australia, Australia services ads, jobs in Australia, pets for sale in Australia, Australia dating, Australia cars for sale.